About two million plastic surgery procedures are performed every year in the United States, from injections of Botox for a fuller look, to liposuction for a thinner look, to nose jobs, breast jobs, face lifts and more. Cosmetic procedures range from outpatient procedures at a doctor’s office or clinic to procedures requiring general anesthesia in a hospital or surgery center. Regardless of where or how the procedure is performed, one fact remains constant: doctors must perform with the expected level of care and competence, and they can and should be held liable for injuries caused by their malpractice. 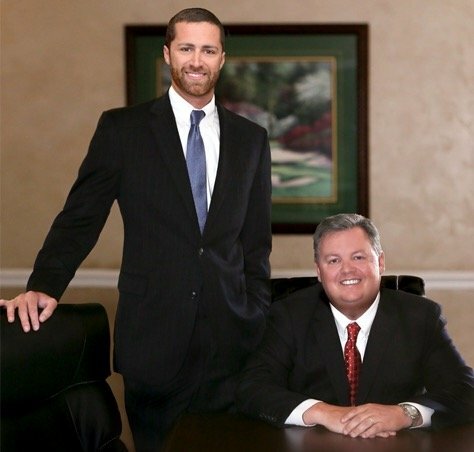 The Tampa cosmetic surgery lawyers at The Palmer Law Firm help people harmed by cosmetic surgery malpractice hold doctors and hospitals accountable for their mistakes and failings, and seek the full amount of compensation available. Face Lift – A negligently performed face lift can damage the nerves controlling muscles in the face. Skin discoloration is another possible complication of a poorly performed face lift. Rhinoplasty (nose job) – Patients with badly performed nose jobs may experience nosebleeds, difficulty breathing, and loss of sensation or numbness in and around the nose. Breast Augmentation – Breast implants which are defective, outdated or improperly placed can break or burst, requiring an additional surgery to retrieve the defective device. Hardening of the breasts is another complication which may require corrective surgery. Breast Reduction – Results of a mishandled breast reduction range from breasts that are asymmetrical in size and shape to scarring, loss of feeling, and the inability to breastfeed. Liposuction – Liposuction and related procedures (fat freezing, fat melting) which are not performed with the required level of care and precision can result in dangerous loss of fluid, abnormal swelling, scarring, bruising and numbness in the skin. Lip Augmentation – Patients subjected to a botched lip augmentation may experience numbness, scarring, lumping, cold sores and asymmetrical lips. Eyelid Surgery – Serious complications from a negligently conducted eyelid surgery range from ectropion (a drooping effect which causes inversion of the lower lid) to a detached retina. Either condition would require an additional corrective surgery. Cosmetic or reconstructive surgery is often performed after a car accident, a fall from a great height, fire or other serious or catastrophic accident. In these instances, cosmetic surgery can help restore function and even prove life-saving. However, even where cosmetic surgery is purely elective and chosen simply to enhance one’s looks, this does not mean that plastic surgeons have any less of a duty to perform competently, or are held to any lesser standard of care than other medical professionals. Cosmetic surgeons must perform according to the appropriate level of skill and care, and they can be held liable for any injuries which result from a failure to treat patients at the acceptable standard. This includes not only performing the surgery with care and competence, but also conducting a full evaluation of the patient’s current health and medical history before the procedure, and describing risks associated with the surgery and obtaining the patient’s knowledgeable, informed consent before proceeding. If you have been harmed due to a botched cosmetic procedure or negligently-performed plastic surgery in Tampa, don’t be afraid to speak out against the doctors or hospital responsible. Call a Tampa cosmetic surgery error lawyer at The Palmer Law Firm at 813-506-5651 for a no-cost, confidential consultation regarding your right to compensation for your additional medical expenses and other legal damages.